While Phineas and Ferb do it all to make every day the best day ever, evil lurks just around the corner! But there IS hope for the unsuspecting citizens of Danville. Now, for the very first time, we crack open the top-secret archives of O.W.C.A. (Organization Without a Cool Acronym) to expose... THE PERRY FILES! Join Perry the Platypus - a.k.a. Agent P. - on his most exciting adventures as he thwarts his nemesis, Dr. Doofenshmirtz, at every turn. With groovy gadgets, mad skills, and his trademark brown fedora, this semi-aquatic, egg-layin' mammal of action is unstoppable! Experience the hilarious havoc as he defends the Tristate Area against Doofs "inators," battles rogue agent "Dennis the Bunny," and much more. 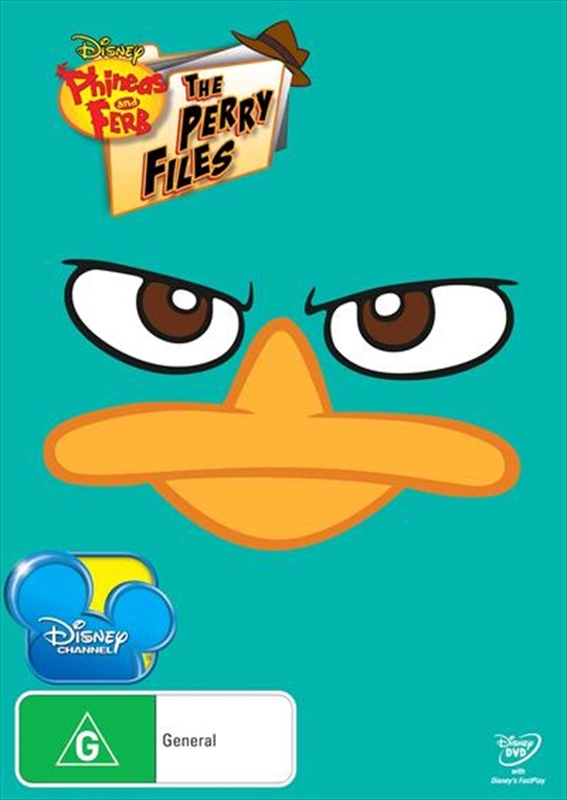 When it comes to secret agents, Perry's not only the real deal, he's real teal!